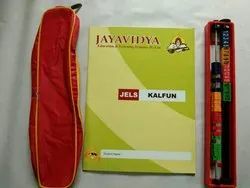 Leading Manufacturer of one word substitution, kids abacus book, handwriting abacus book, dictation abacus book, students abacus book suppliers and junior abacus books from Chennai. 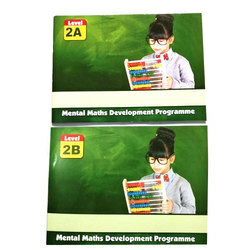 Backed by our Experienced Technical teams and innovative approach we are able to offer Senior abacus Books at centers , Junior Abacus Kit at learning centers , Senior or Junior Mental Arithmetic Books, zhuzuan methology, suanban/Sorobon Methology, training Materials, teacher resource stores, teacher tools,teacher supplies,training courses,user manual,instruction manual,manual instructor and lesson plans.We understand the needs of the Abacus Teachers. 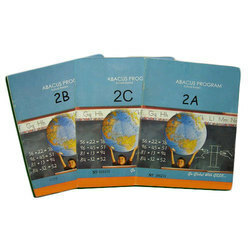 Abacus Teachers require a one stop solution for all of their Abacus Study Material Supplies. 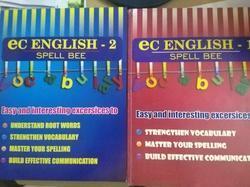 Whether it is the Abacus, Abacus Books, Student Abacus Bags, Level Completion Certificates or Examination Papers. 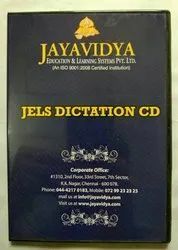 We serve them all.We supply on regular basis so that you run your business for long-term FREE from ROYALTIES and other restrictions.We manufacture premium quality tools and publish books under excellent education standards.We also offer special feature of supplying these materials with your training centre LOGO and Address printed on the respective material to bring that personalized touch.You can ask us for these Kits in a bundle of 10 sets or 25 sets or 50 sets or 100 sets. 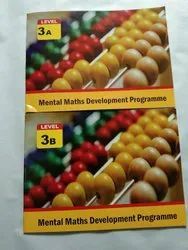 Each set of 2 Abacus Books per level/semester is spread over approximately 100 pages in each level has been divided in to Abacus Classroom activity of approximately 50 pages and approximately 50 pages of Abacus Practice which is further spread in 13 parts of 6 practice days in each part for children to home practice for everyday after Abacus Classroom Activity allowing the training for children on each level in 13 weeks in Abacus Classes conducted. 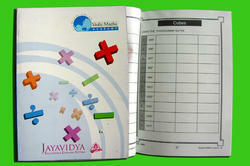 This helps children to practice abacus daily for better results. 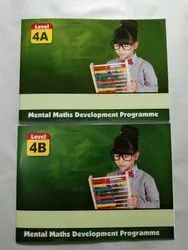 This also helps Abacus Teachers to focus only on Abacus Classes rather than getting busy in writing extra practice material, every time. 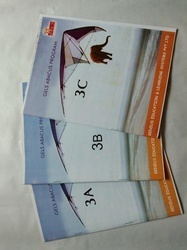 WE ALSO PUBLISH BOOKS WITH YOUR LOGO AND ADDRESS ON IT AND LOGO ON EVERY PAGE. Operating Abacus and performing Arithmetic Process involves regular Solving by the way of Oral Math Question Solving Dictation and Solving by the way of Reading Dictated Math Question involves most of the sensory parts like Fingers, Hands, Eyes and Ears to co-ordinate with Mind for time to find a math result. This continuous practice of Time (plus) attention with increasing difficulty levels by way of more numbers per question and time target to solve set of questions is nothing but improved concentration. 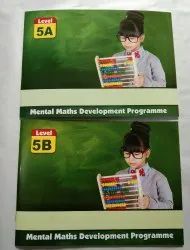 Backed by our Experienced Technical teams and innovative approach we are able to offer Senior abacus Books at centers , Junior Abacus Kit at learning centers , Senior or Junior Mental Arithmetic Books, zhuzuan methology, suanban/Sorobon Methology, training Materials, teacher resource stores, teacher tools,teacher supplies,training courses,user manual,instruction manual,manual instructor and lesson plans.Both the textbook and the activity book have almost the same content structure. They compliment each other perfectly. 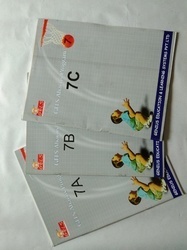 While the textbook concentrates on explanations and examples on a concept, the activity book helps to enhance the pupil's understanding on the concept by engaging them in a wide range of fun activities.Our developed tools and materials like Abacus Tools, Bags and Books with an extensive experience of more than 9 years of experience in the field of Abacus Education are very Abacus Student and Abacus Trainer. Our experience of training and enabling more than 500 trainers and still counting till today in the field of Abacus Education for teaching kids is an enormous resource for you to learn and teach Abacus professionally at world class standards.Procuring Abacus Study Material from us allows you to access an intensively researched and developed material from us which offers you standards which you can match worldwide. Icing on the cake is that we make it available this to you material with a personalized presentation for you by putting you Logo's and Address wherever necessary on Books, Bags and Certificate. 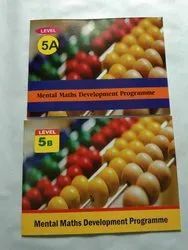 This makes it simple for you to use our experience and know-how for training Abacus students under a structured and guided route of experts.So even if you are new in the business of Abacus E & T Business with our experience and developed material you get an accelerated track to move ahead and achieve success and beat competition.We are publishers and manufacturer to provide a wide range of educational material for the conduct of Abacus Classes. 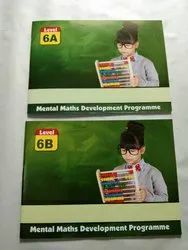 The product range includes all kinds of Student Abacus, Student Abacus Books, Student Abacus Bag, Student Abacus Pouch, formulae card, progress report, certificates, Abacus dictation CD, abacus Marketing Video, Abacus Exercise CD,Master Abacus and other training material etc using our sophisticated manufacturing unit and innovative approach. 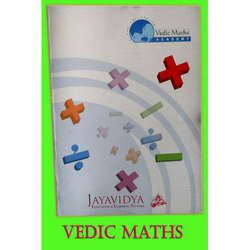 Vedic Maths is based on sixteen sutras or principles. These principles are general in nature and can be applied in many ways. 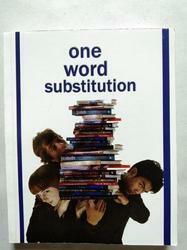 In practice many applications of the sutras may be learned and combined to solve actual problems. 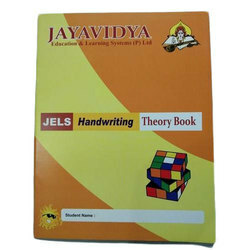 These tutorials will give examples of simple applications of the sutras, to give a feel for how the Vedic Maths system works.We make extraordinary vedic maths student books for every child to get proper opportunity to get the benefits out of vedic maths learning.We supply on regular basis so that you run your business for long-term FREE from ROYALTIES and other restrictions.We also offer special feature of supplying these materials with your training centre LOGO and Address printed on the respective material to bring that personalized touch. 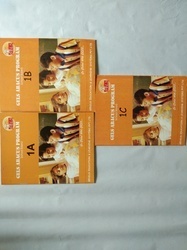 One line mental Multiplication method. Finding Square Root by Visualization (By seeing). Finding Cube Root by Visualization (By Seeing). 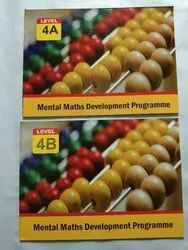 We are publishing Structured Abacus Books with weekly progression to offer true benefits to its students with Weekly Instruction Practice Sheets along with Daily 6 Days Practice Material for Abacus Class.Each Level/Semester Abacus Book include 13 Week practice Material in a systematic & structured way for children to follow the right method of learning Abacus operations in any Abacus Class.Our Abacus books are targeted to children of age 4 till 6 years under version Junior,6 till 12 years under version senior and 13 till 18 years under version super senior. Packaging Details: ACCORDING TO CUSTOMER REQUEST..
Abacus Math Class is structured method of learning and practicing the skills of operating Abacus to perform basic math or arithmetic operations like Addition, Subtraction, Multiplication, Division etc. 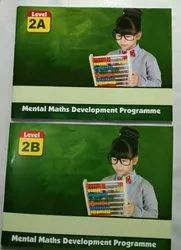 Kids need a guided environment where they can take the instructions and practice the skills to perform mental arithmetic for mental math faster with accuracy and much more. 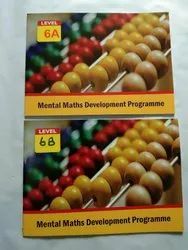 Learning Abacus Math to perform Arithmetic Operations not only improves the ability to perform Mental Arithmetic for Mental Math, but also provides a beneficial ripple effect to their lives by strengthening their Brain Functions. Backed by our Experienced Technical teams and innovative approach we are able to offer Junior abacus Books, Junior Abacus Kit, Junior Mental Arithmetic Books, teacher training Materials, teacher resource stores, teacher tools,teacher supplies,training courses,user manual,instruction manual,manual instructor and lesson plans. 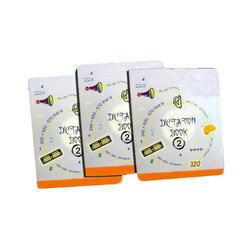 The Kalfun Math Tool for Addition and Subtraction is a simple educational device specially designed with patented features, for early use by children from pre-KG to U.K.G. The colourful and student friendly device presents the number sequence on slidable and rotatable blocks that serve as the reckoning slide on the top row. and provides a set of movable blocks on the bottom slide that are aligned neatly with the blocks on the top row in matching colors to help with counting and solving problems. 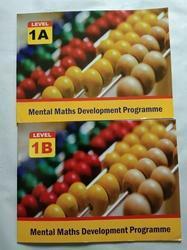 Each Level/semester Abacus Book Include 13 Week Practice Material In A Systematic & Structured Way For Children To Follow The Right Method Of Learning Abacus Operations In Any Abacus Class. 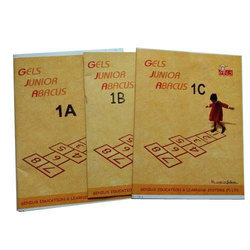 Our Abacus Books Are Targeted To Children Of Age 4 Till 6 Years Under Version Junior,6 Till 12 Years Under Version Senior And 13 Till 18 Years Under Version Super Senior. 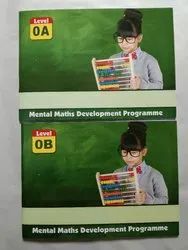 Abacus Math Class is structured method of learning and practicing the skills of operating Abacus to perform basic math or arithmetic operations like Addition, Subtraction, Multiplication, Division etc. Kids need a guided environment where they can take the instructions and practice the skills to perform mental arithmetic for mental math faster with accuracy and much more. 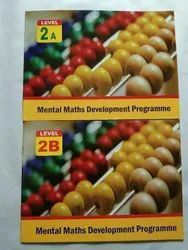 Learning Abacus Math to perform Arithmetic Operations not only improves the ability to perform Mental Arithmetic for Mental Math, but also provides a beneficial ripple effect to their lives by strengthening their Brain Functions.Backed by our Experienced Technical teams and innovative approach we are able to offer Junior abacus Books, Junior Abacus Kit, Junior Mental Arithmetic Books, teacher training Materials, teacher resource stores, teacher tools,teacher supplies,training courses,user manual,instruction manual,manual instructor and lesson plans.